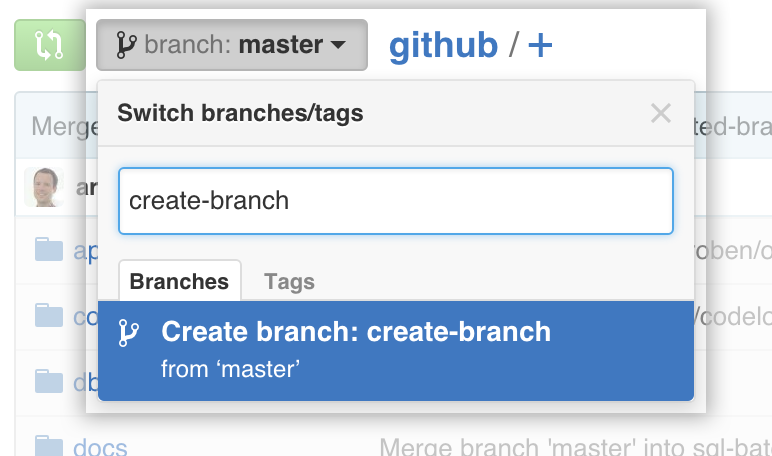 You can create or delete branches directly on GitHub Enterprise. Click the branch selector menu. Type a unique name for your new branch. Above the list of files, click NUMBER branches. Scroll to the branch that you want to delete, then click . "Viewing branches in your repository"